Do I need to insure a car that is in storage? There could be a number of reasons why you would put a vehicle in storage. Maybe it’s a seasonal vehicle, meant only to be driven during the summer months, or it is a fixer-upper that you’ve been working on at your leisure. Whatever the reason, you may be wondering whether or not that vehicle needs to be insured why it is off the road and in storage. Let’s have a look and see what your options are. Do I have to insure it? Technically if you are not driving the vehicle, it does not need to be insured. But it is illegal to drive an uninsured car, so, the second you start up the engine and pull onto the street, you are breaking the law, and putting yourself at risk of paying a lot of money out of pocket if something goes wrong. You will also be creating a gap in your insurance history if it’s your only vehicle, so you’ll run the risk of being considered a high-risk customer in the eyes of your insurance company, resulting in higher premiums down the road. So no, you do not have to ensure it, but it is a good idea to have some sort of coverage, just in case and to keep in good standing with your insurer. 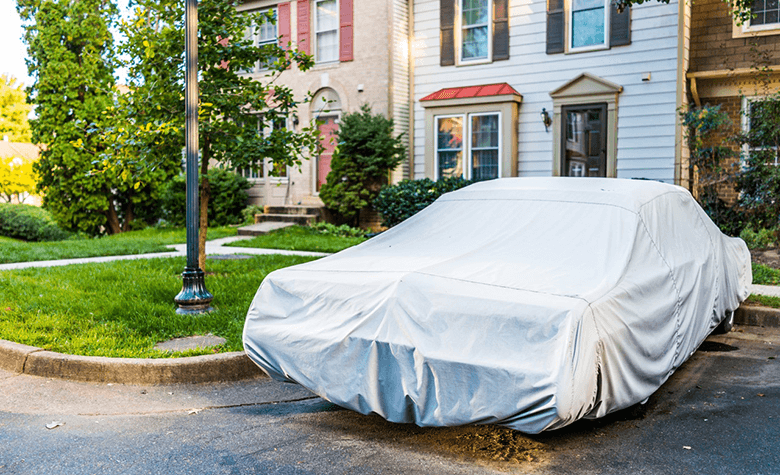 Even though it is not being taken out on the road, it can still be beneficial to insure a car that is resting in storage. While your vehicle is much safer off the road and in storage, the possibility of something happening to it is still there. If the car is uninsured and someone breaks into it or vandalises it in, you are left paying the bill to fix any damages. Another perk is that if you do choose to take the vehicle out on the road, you will not have to worry about illegally driving a car that is not adequately insured. If your car spends the majority of time in storage, you probably don’t want to pay a lot for its insurance, but you still wish to have some coverage. Here are some cheaper options when it comes to ensuring your vehicle that doesn’t spend a lot of time on the road. One-way auto insurance: One-way auto insurance covers the bare minimum that is legally necessary, which makes it a great cheap alternative for those who will not be using their car often. While one-way auto insurance will not help you if someone breaks into your vehicle or vandalises it while it is in storage, it will cover you if you take it on the road now and again. Bundle with other vehicles: Another way to ensure that your vehicle has sufficient coverage, without breaking the bank, is to bundle it with your other insurance policies. Not only will you get the discount associated with combining the policies, but you will also most likely pay a smaller premium because the vehicle spends most of its time in storage. Reduce your coverage – If your vehicle is in storage for 30 days or more, you can speak with your insurance broker and see about removing the required road, liability and accident benefits that are associated with your insurance policy. Keep in mind, that by doing this you may no longer take your car out on the road, as you need liability insurance to drive the car legally. If you wish to begin driving your vehicle again, it is best to inform your insurance company two weeks before ensure that the proper road coverage is put back in place.